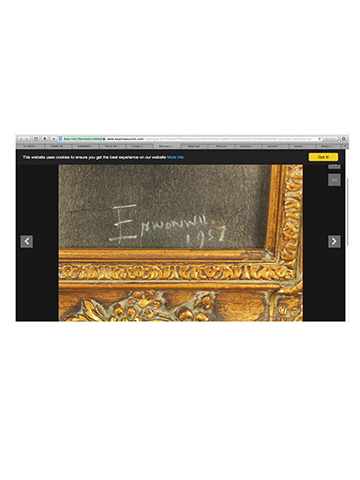 Forgery, well published on the Internet. 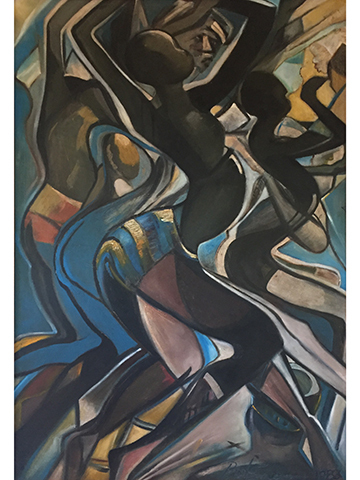 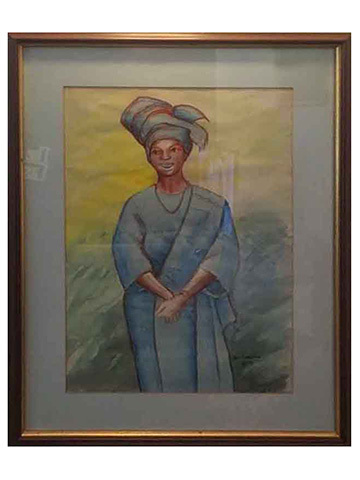 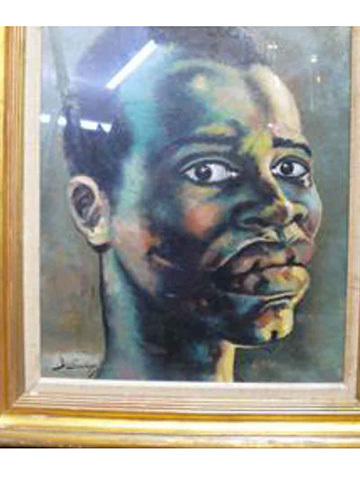 Original (1975), a limited edition print is in the collection of the National Gallery of Art Nigeria. 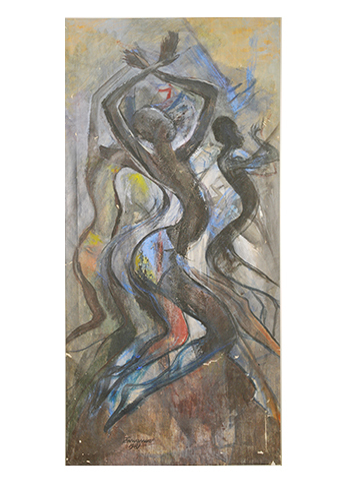 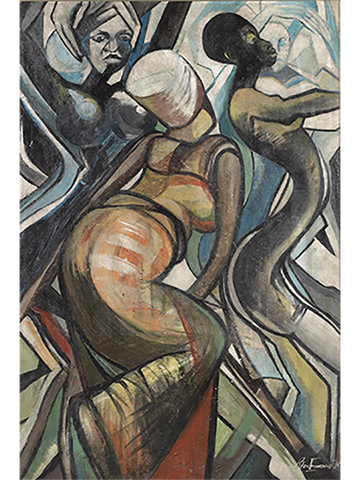 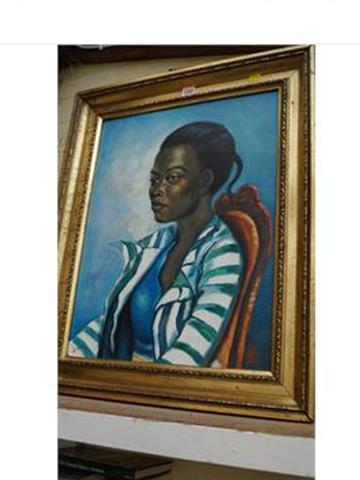 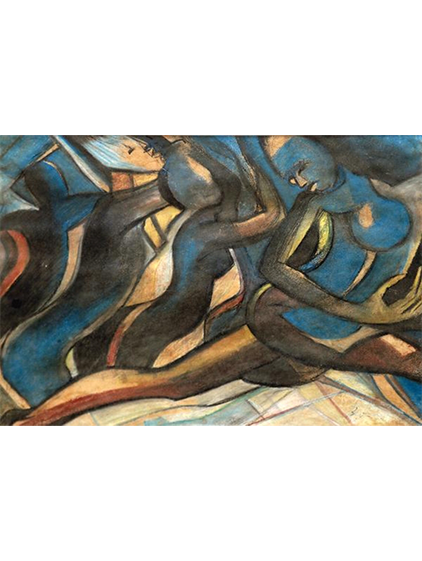 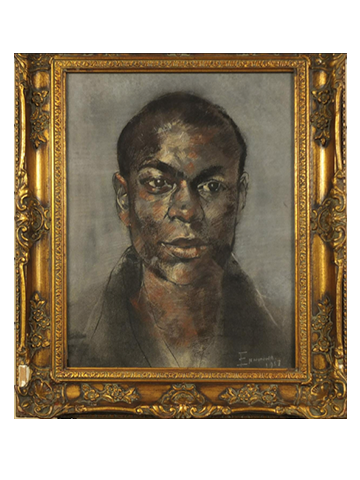 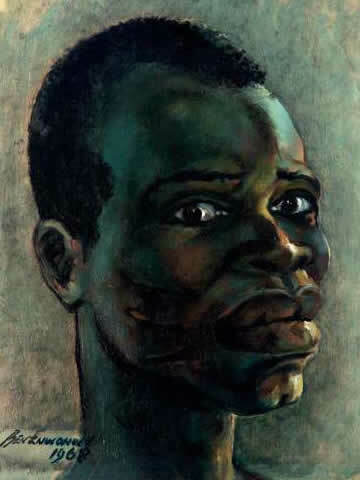 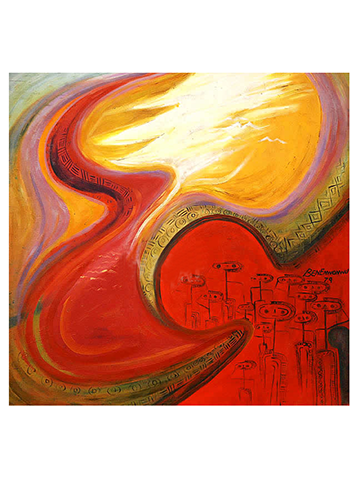 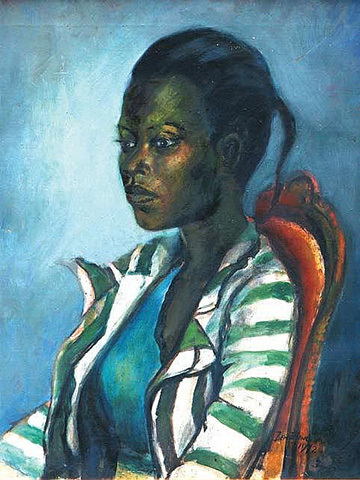 Original (1981, 124 x 93 cm), also in the collection of the National Gallery of Art Nigeria. 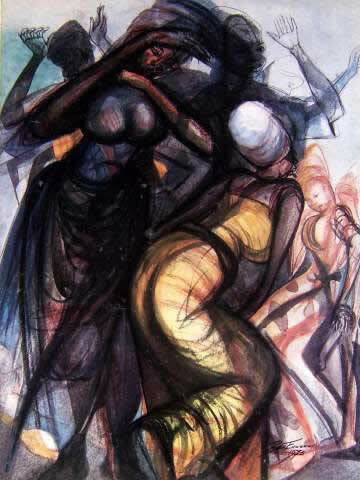 Note extreme figure on the right borrowed in the forged African Dance Ensemble. 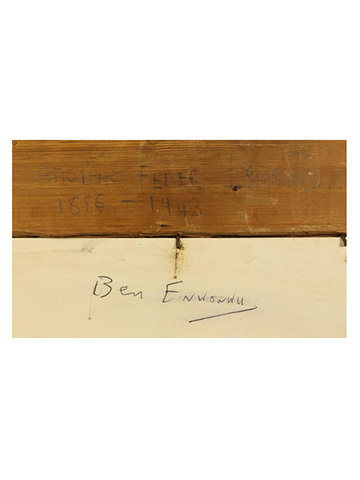 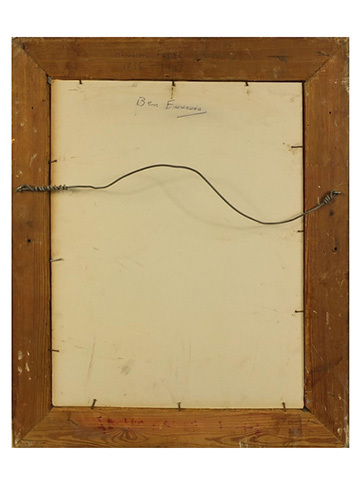 Forgery, signed 'Sumner', auctioned on March 26, 2015 by Stride and Son, Chichester, UK, oil on canvas board 59.5 x 45 cm. 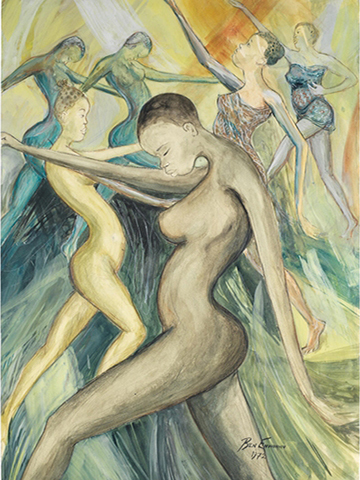 Forgery , (watercolour on paper, 50.8 x 73.7 cm), copy of the first of the three of the original panel in oils. 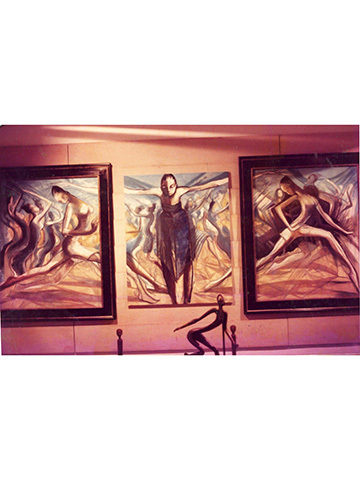 Original, (oil on canvas), three panels. 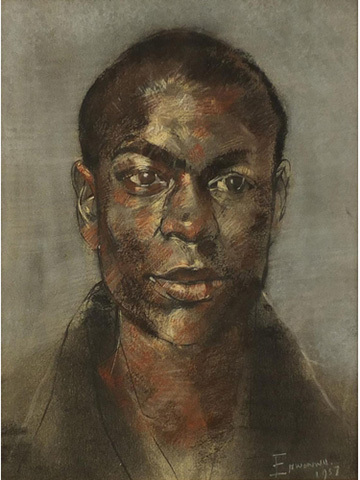 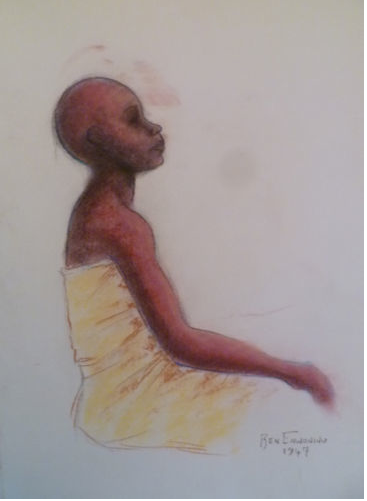 Forgery, pastel on board, Auctioned as Lot 2047 by Eastbourne Auctions on February 11, 2017 in the African School category. 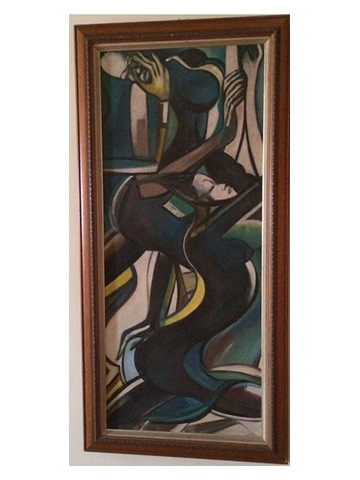 Retrieved from www.easyliveauction.com.